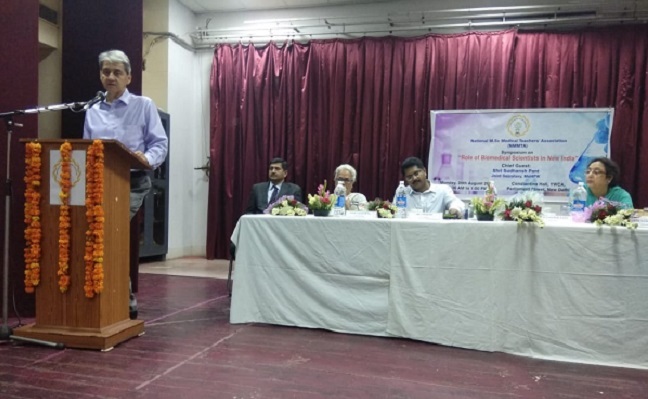 National M.Sc Medical Teachers’ Association (NMMTA) conducted a symposium titled “Role of Biomedical Scientists in New India' on 20th August. New Delhi: The National M.Sc Medical Teachers’ Association (NMMTA) held a symposium titled “Role of Biomedical Scientists in New India” in the national capital recently. 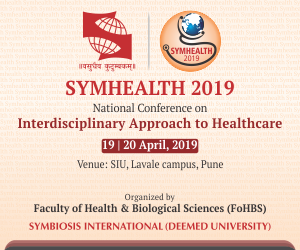 The symposium holds significance as the members of this association who are biomedical scientists with medical M.Sc postgraduate degree in the non-clinical subjects, feel that the government is neglecting them. It was held in the backdrop of MCI’s proposal to reduce and eliminate the appointment of biomedical scientists as ‘non-medical’ teachers. “We are a part of the healthcare, medical education and research since several decades but our roles aren’t duly recognized,” said Dr Sridhar Rao, President of NMMTA. “India has a large pool of talent and manpower of biomedical scientists, which must be utilized by the government to address the deficiencies in healthcare, medical education and research,” he added. “There are lakhs of diagnostic laboratories across the country but not sufficient specialized doctors to practice there. The ministry of Health and Family Welfare must amend the guidelines of Clinical Establishment Act to utilize the services of biomedical scientists to counter this shortage,” said Arjun Maitra, Secretary of NMMTA. Dr S Rajesh, director-health, NITI Aayog, who was the guest of honor stressed the importance of biomedical scientists in the development of diagnostic kits. Dr Heena Tabassum, representing the ICMR highlighted the various research opportunities and financial grants sponsored by the ICMR. Dr Daman Saluja, Director of B.R Ambedkar Institute of Biomedical Sciences described the different fields of biomedical research and its impact on healthcare and public health. Dr Jayashri Sengupta, former Professor & HOD, AIIMS Delhi highlighted the role of Basic Sciences to evolve the Indian medical students into a thinking doctor.